Stockton East Water District Ordinance No. 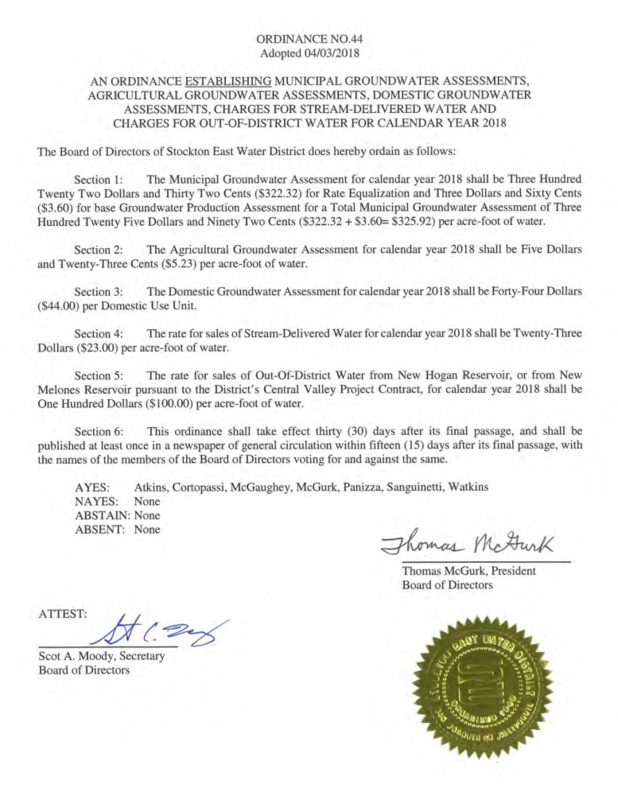 44 – Establishing Water Rates for Calendar Year 2018 was approved at the April 3, 2018 Regular Meeting of the Board of Directors. 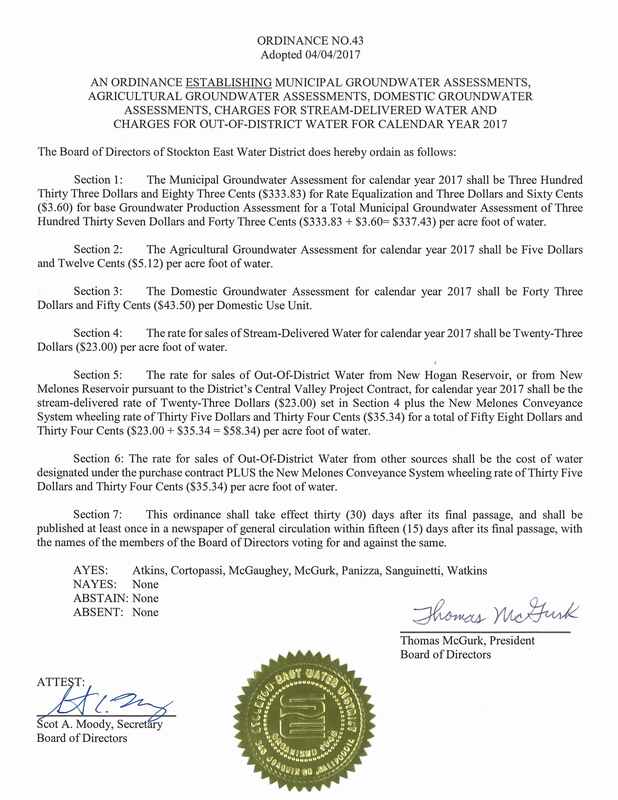 This Ordinance establishes the Municipal Groundwater Assessment; Agricultural Groundwater Assessment; Domestic Groundwater Assessment; Charges for Stream-Delivered Water; Charges for Out-of-District Water from New Hogan Reservoir & New Melones Reservoir pursuant to the District’s Central Valley Project Contract and Charges for Out-of-District Water from Other Sources Designated Under the Purchase Contract.